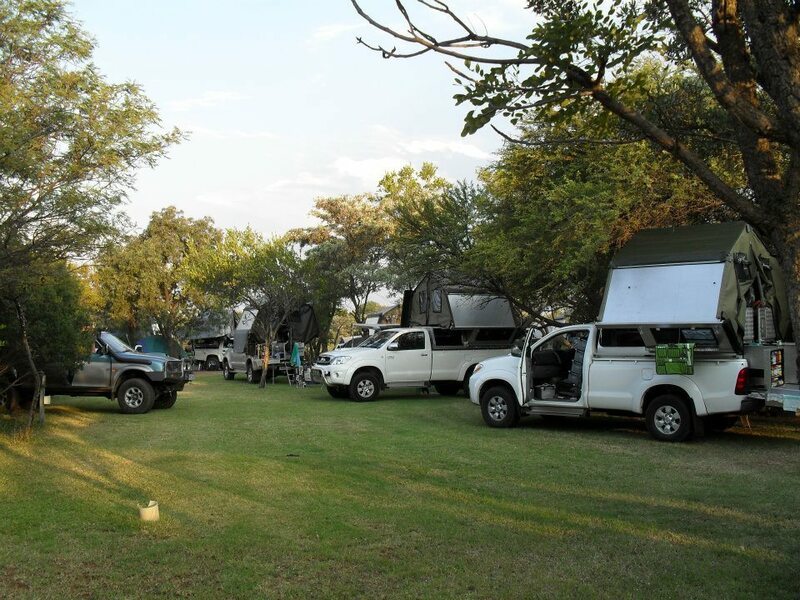 The bush camp, Klein Sambane, caters for caravans and tents and is situated in the South African Bushveld inside the Central section of the Dinokeng Game Reserve. 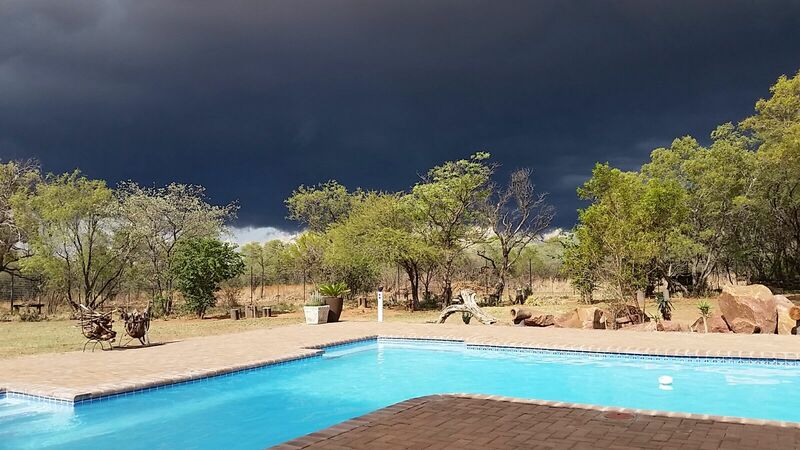 The pool @ Klein Sambane on a stormy summer afternoon. 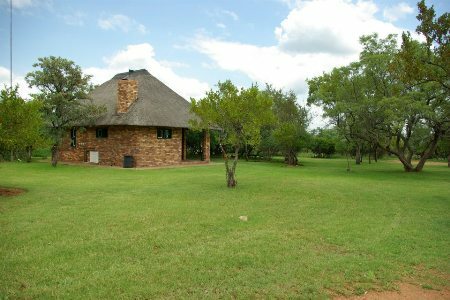 If you want nothing but to "chill out" and relax, Klein Sambane provides the perfect tranquil environment. 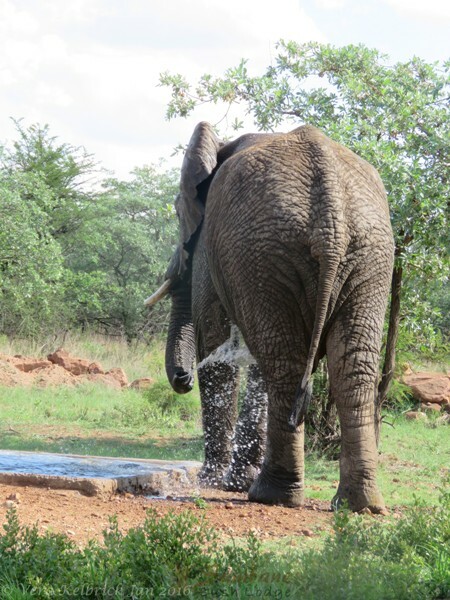 Take a walk inside the fenced area, book a guided game drive or laze by the pool. A Wealth of bird life, bring your binoculars and your birding books. 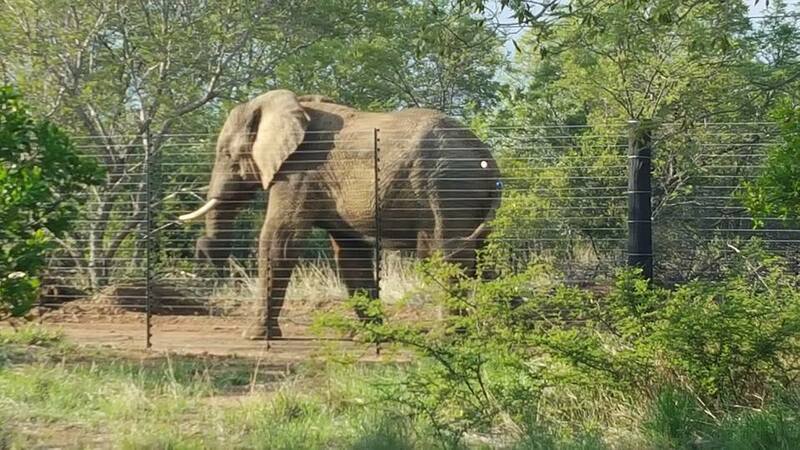 From time to time game sightings from your camp can include members of the Big 5. Stargazing whilst listening to the bush at the boma in the light of a camp fire, When the weather does not permit move inside the thatched lapa also has braai facilities. The camp site an adequate clearing in fairly dense bush with 220V electricity at each stand, ground cover of grass and shady trees. 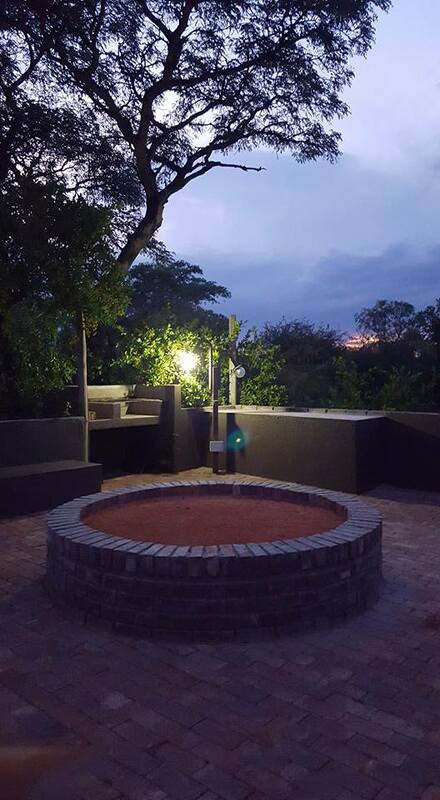 Outdoor swimming pool, fire pit, boma with braai facility. Communal Kitchenette with wash-up and a cupboard, under cover braai facility, free refrigeration and deep freeze facilities, microwave, kettle. Ablution with two private showers, two separate toilets and communal washing-up area. Ablution facility is spotless with an abundance of hot water. 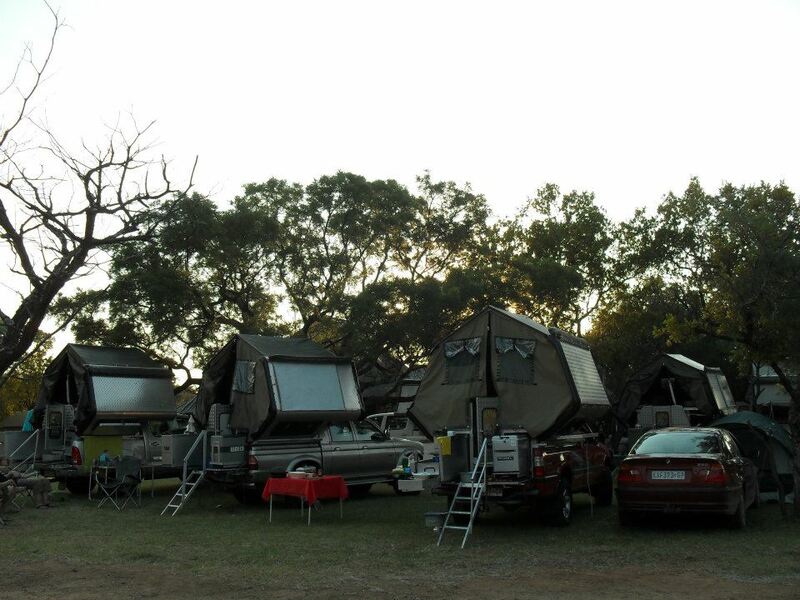 Perfect for a group of up to 10 caravans or tents. Nearby : Fuel Station, Shop and Liquor Store.